8th March 2017, Bengaluru: As the whole world awaits the answer to the question “why did Katappa kill Amarendra Baahubali”, Prabhas talks about how he drew strength from his characters. Prabhas, who spent the last four years filming for the epic movie Bahubali says, Playing the two characters Mahendra and Amarandra, and maintaining their individuality was a challenge during the shoot. 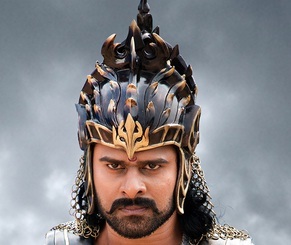 Prabhas added, his favorite character in the movie is Amarendra Baahubali. He loves the simplicity of the character as Amarendra Baahubali is a follower of dharma. He is the dutiful son and a great king, and yet has the capability for mischievousness. He looks at justice as well as finds beauty in the world. It is a character that is easy to admire. On the other hand Mahendra Baahubali, is more carefree and playful, as seen in the first movie. Prabhas will begin work on his new, yet-to-be titled movie this month. He finds the new movie a welcome change of pace after living and breathing Baahubali for four years.